Water is at the core of sustainable development and is critical for socio-economic development, healthy ecosystems and for human survival itself. It is vital for reducing the global burden of disease and improving the health, welfare and productivity of populations. It is central to the production and preservation of a host of benefits and services for people. Water is also at the heart of adaptation to climate change, serving as the crucial link between the climate system, human society and the environment. Water is a finite and irreplaceable resource that is fundamental to human well-being. It is only renewable if well managed. Today, more than 1.7 billion people live in river basins where depletion through use exceeds natural recharge, a trend that will see two-thirds of the world’s population living in water-stressed countries by 2025. Water can pose a serious challenge to sustainable development but managed efficiently and equitably, water can play a key enabling role in strengthening the resilience of social, economic and environmental systems in the light of rapid and unpredictable changes. Sustainable development was explicitly popularized and contextualized by the Brundtland Commission in the document "Our Common Future" where it was defined as “development that meets the needs of the present without compromising the ability of future generations to meet their own needs.” (UN, 1987). The Brundtland Commission focused on three pillars of human well being: economic, socio-political and ecological/environmental conditions. The basic concept endorses putting in place strong measures to spur economic and social development, particularly for people in developing countries, while ensuring that environmental integrity is sustained for future generations. The Millennium Development Goals (MDGs), agreed in 2000, aim to halve the proportion of people without sustainable access to safe drinking water and basic sanitation between 1990 and 2015. A total of 748 million people still do not have access to an improved drinking water source and existing indicators do not address the safety and reliability of water supplies. To reach the requirements of the right to access to safe drinking water requires real improvements for several billions of people. In July 2010, the General Assembly adopted a resolution, which “recognized the right to safe and clean drinking water and sanitation as a human right that is essential for the full enjoyment of life and all human rights”. (A/RES/64/292). The MDG target for sanitation is an even more pressing challenge, with 2.5 billion people currently lacking access to improved sanitation and over one billion still practicing open defecation. At current rates of progress, the sanitation target will be missed by over half a billion people. These global aggregates also mask large disparities between nations and regions, rich and poor, between rural and urban populations, as well as between disadvantaged groups and the general population. There is currently no global target to improve hygiene, despite this being one of the single most cost-effective public health interventions. The Rio+20 Conference in 2012 was an opportunity to reflect on progress towards sustainable development over the previous 20 years. One of its main outcomes was an agreement to launch a process to develop a set of Sustainable Development Goals, which build on the Millennium Development Goals and converge with the post-2015 development agenda. The Zaragoza Conference focused on the tools for implementation stated in the outcome document of the United Nations Conference on Sustainable Development, held in Rio de Janeiro from 20 to 22 June 2012, entitled "The future we want", which includes finance, technology and capacity building, adding the institutional and policy dimensions. As the time limit for the MDGs draws to a close in 2015, the global community is taking stock of how it can move towards a sustainable future. The MDG framework did not address the full water and development agenda, nor fully recognize its synergies with other areas and concerns. Emphasis on ‘Sustainability’ was not included and human rights and inequalities were also largely ignored in the MDG framework. Subsequently, member states have agreed that human rights, equality and sustainability should form the core of the development agenda and be recognized as critical for true development. Agriculture is by far the thirstiest consumer of water globally, accounting for 70% of water withdrawals worldwide, although this figure varies considerably across countries. Rainfed agriculture is the predominant agricultural production system around the world, and its current productivity is, on average, little more than half the potential obtainable under optimal agricultural management. By 2050, world agriculture will need to produce 60% more food globally, and 100% more in developing countries. Industry and energy together account for 20% of water demand. More-developed countries have a much larger proportion of freshwater withdrawals for industry than less-developed countries, where agriculture dominates. Balancing the requirements of sustainability against the conventional view of industrial mass production creates a number of conundrums for industry. One of the biggest is globalization and how to spread the benefits of industrialization worldwide and without unsustainable impacts on water and other natural resources. Domestic sector accounts for 10% of total water use. And yet, worldwide, an estimated 748 million people remain without access to an improved source of water and 2.5 billion remain without access to improved sanitation. Cities. More than half the world already lives in urban areas and by 2050, it is expected that more than two-thirds of the global population of 9 billion will be living in cities. Furthermore, most of this growth will happen in developing countries, which have limited capacity to deal with this rapid change, and the growth will also lead to increase in the number of people living in slums, which often have very poor living conditions, including inadequate water and sanitation facilities. Therefore, the development of water resources for economic growth, social equity and environmental sustainability will be closely linked with the sustainable development of cities. Ecosystems. Perhaps the most important challenge to sustainable development to have arisen in the last decades is the unfolding global ecological crisis that is becoming a barrier to further human development. From an ecological perspective, the sustainable development efforts have not been successful. Global environmental degradation has reached a critical level with major ecosystems approaching thresholds that could trigger massive collapse. The growing understanding of global planetary boundaries, which must be respected to protect Earth’s life support systems, needs to be the very basis of the future sustainable development framework. Over 1.7 billion people are currently living in river basins where water use exceeds recharge, leading to the desiccation of rivers, depletion of groundwater and the degradation of ecosystems and the services they provide. As countries develop and populations grow, global water demand (in terms of withdrawals) is projected to increase by 55% by 2050. Already by 2025, two thirds of the world’s population could be living in water-stressed countries if current consumption patterns continue. The economic loss from the inadequate delivery of water and sanitation was estimated to amount to 1.5 % of gross domestic product of the countries included in a WHO study on meeting the MDGs. According to some estimates, over 80% of wastewater is discharged without treatment. Water-related disasters are the most economically and socially destructive of all natural disasters. Since the original Rio Earth Summit in 1992 floods, droughts and storms have affected 4.2 billion people (95% of all people affected by disasters) and caused USD 1.3 trillion of damage (63% of all damage). The present prototype global sustainable development report is the result of a collaborative effort of more than two thousand scientists and 50 staff from 20 UN entities from all world regions. The report illustrates a range of potential content and discusses potential overall directions for the Global Sustainable Development Report. 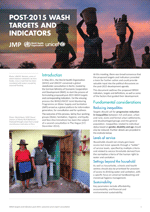 The report maps sustainable development assessments and related processes, and identifies key remaining challenges to eliminate poverty and hunger; to feed, nurture, house, educate and employ the global population; to ensure peace, security and freedom; and to preserve the Earth’s basic life support systems. Chapter 6 focuses on the special theme 'the climate-land-energy-water-development nexus' with integrated assessments of the interlinked issues. The objective of this discussion paper was to provide background for discussions of the UNESCO-IHP Side-Event on “Water in the Post-2015 Development Agenda and Sustainable Development Goals” during the 21th session of the Intergovernmental Council of IHP (18-20 June 2014, UNESCO Headquarters, Paris, France). 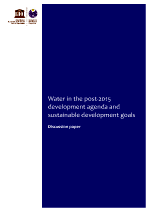 The paper looks at 5 integral points, the first gives the basis of the discussion background: defining the post-2015 development agenda; followed by Water: A key for Sustainable Development which discusses water in the Millennium Development Goals (MDGs) and the need for a post-2015 vision; Water in the post-2015 development agenda; Water in the global discussions on the Sustainable Development Goals (SDGs) and concludes with ‘The way forward’, which opens the floor for the possible future of water goals. This document summarizes the latest proposals for post-2015 targets developed by global Water, Sanitation and Hygiene (WASH) stakeholders. In May 2011, anticipating that debate would inevitably arise about what should succeed the Millennium Development Goals (MDGs), the World Health Organization (WHO) and UNICEF convened a global stakeholder meeting to consider which targets and indicators would be appropriate for drinking-water, sanitation and hygiene (WASH) post-2015. 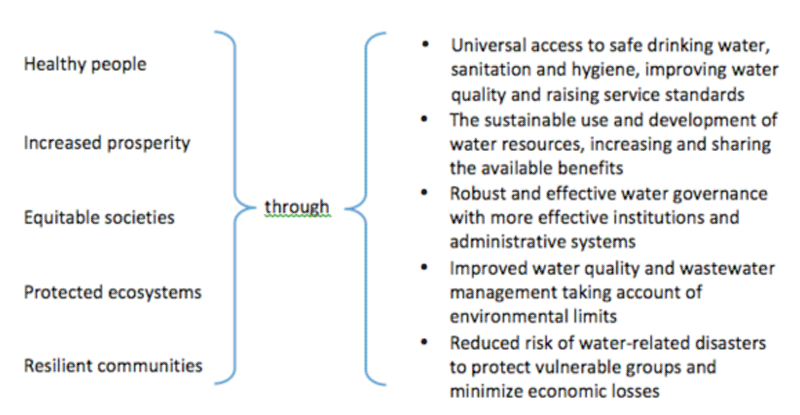 This paper summarizes key findings and recommendations for a post-2015 global goal for water. The paper is the result of a broad technical consultation process among 31 UN-Water members and 36 partners, as well as a range of other stakeholders and aims to inform, provide advice and recommendations in support to Member States in their decision-making process on the post-2015 development agenda. It proposes a set of potential targets and indicators to support a dedicated global goal for water and contributes towards the Sustainable Development Goals (SDG) consultation process. 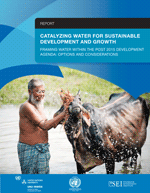 This report is an independent evidence-based analysis of how water can be addressed in a developing agenda beyond 2015. Its formulation, and the underlying study, was undertaken as a way of addressing the information gaps and providing background information that can be used by the UN member states and other stakeholders in negotiations. The overall goal of this report is to draw attention to the complexities of water as a resource and a human right, and the challenges associated in implementing the Sustainable Development Goals related to water. Outcome document of the Rio+20 conference on sustainable development, which took place in Rio de Janeiro, Brazil, in June 2012. United Nations, 2012. A/RES/66/288. 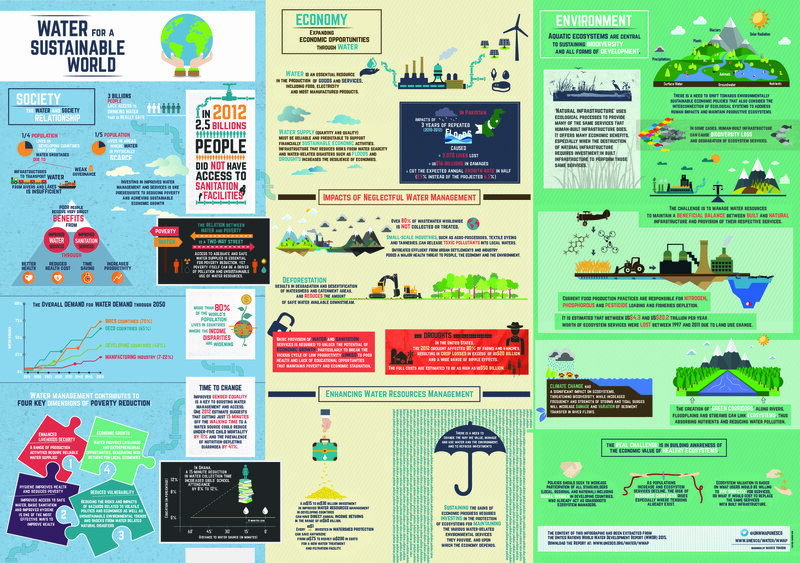 The Future We Want – Outcome Document of the Rio+20 Conference. United Nations, 1987. 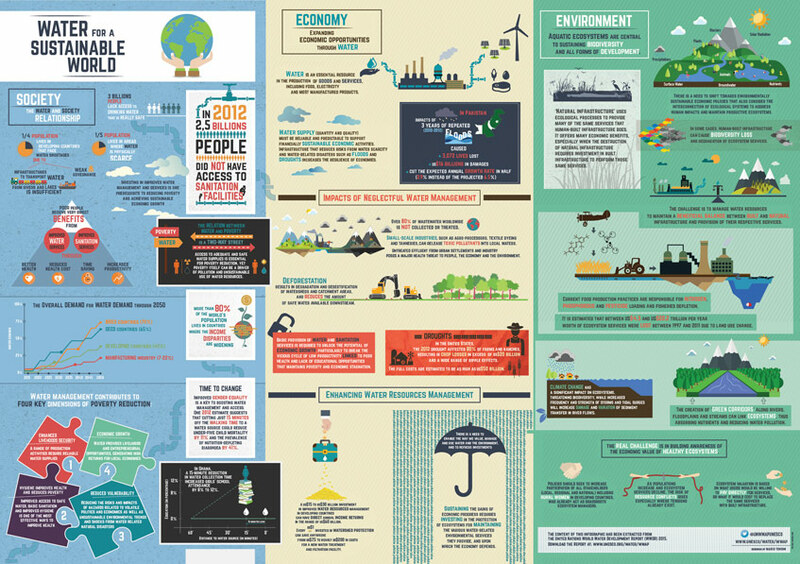 Our Common Future, Report of the World Commission on Environment and Development. UNDESA, 2012. 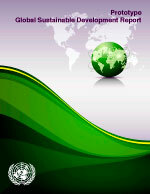 Sustainable Development for the 21st Century Back to our Common Future (2012) UNDESA. UNESCO, 2009. UN World Water Development Report 3. Paris. UNISDR, 2012. Impacts of Disasters since the 1992 Rio de Janeiro Earth Summit. United Nations Environment Programme (UNEP), UN-HABITAT, GRID-Arendal, 2010. Sick Water? The central role of wastewater management in sustainable development. A Rapid Response Assessment. 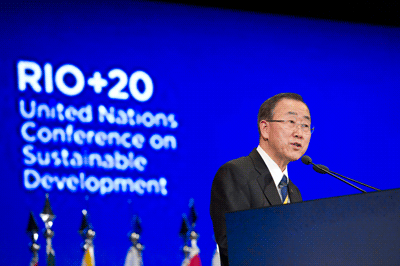 United Nations High-level Political Forum on Sustainable Development, 2013. UN-Water, 2014. 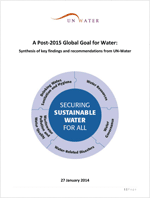 A Post-2015 Global Goal for Water: Synthesis of key findings and recommendations from UN-Water. UN-Water, 2008. Sharing benefits, sharing responsibilities. WHO, 2012. Global costs and benefits of drinking-water supply and sanitation interventions to reach the MDG target and universal coverage. WHO/UNICEF, 2014. Progress on sanitation and drinking-water - 2014 Update. World Health Organization (WHO), UNICEF. WWAP, 2014. 5th United Nations World Water Development Report 2014: Water and Energy. Paris, UNESCO. "Environmental, economic and social indicators tell us that our current model of progress is unsustainable. Ours is a world of looming challenges and increasingly limited resources. Sustainable development offers the best chance to adjust our course." "The UN is working with governments, civil society and other partners to shape an ambitious sustainable development framework to meet the needs of both people and planet, providing economic transformation and opportunity to lift people out of poverty, advancing social justice and protecting the environment." "Water is at the core of sustainable development as it is closely linked to a number of key global challenges." 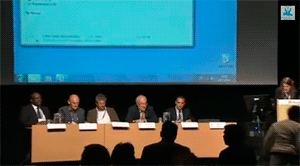 Video record of session 'Triggering Action on Water through the Post-2015 Agenda' at World Water Week, 1 September 2013. Participants in this seminar presented and discussed the most recent proposals for a Water Sustainable Development Goal. There are different proposals as well as for targets and indicators covering both access to basic water and sanitation services, water resources management and pollution and wastewater management. But will these trigger action in the same way as the Millennium Development Goal target on water has done?